I made this Palm Sugar Jello (Agar-Agar Gula Melaka) for a Christmas party of Malaysian and Singaporean friends. The theme for the potluck is Malaysian food. The party is on Boxing day and my boys had asked me to go shopping in the morning. I made the Agar-agar Gula Melaka on Christmas day so that I can have time to go shopping and have food to bring for the party. 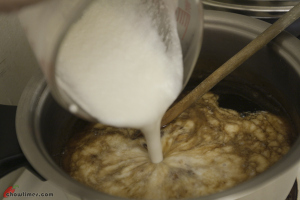 Gula Melaka or palm sugar has a unique fragrance to it that cannot be substituted with other type of sugar. 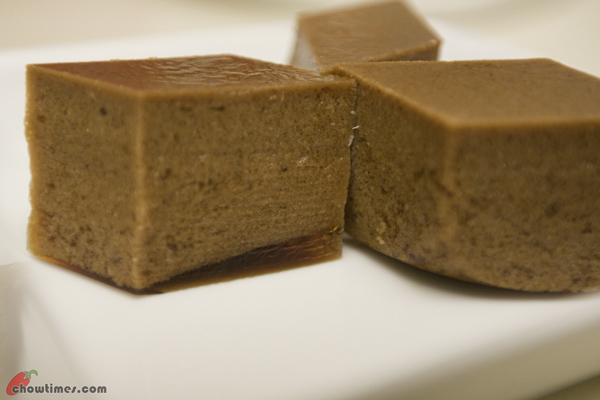 You can find gula Melaka at Golden Summit on Westminster Hwy (across Richmond Public Market). 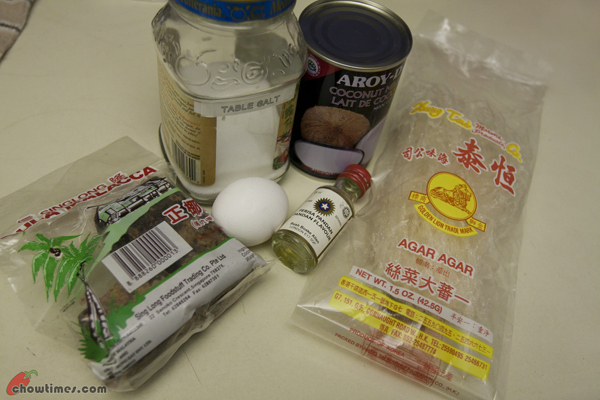 Agar-agar can be found in most Asian groceries store. Soak agar-agar strips for about half an hour. 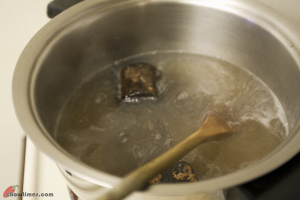 Boil water with soaked agar-agar until agar-agar dissolved. 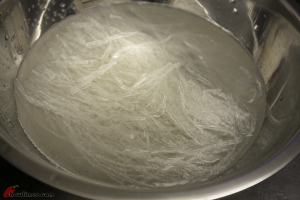 If you use pandan leaves, boil the leaves together with the agar-agar. 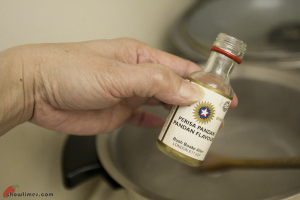 Otherwise, add pandan essence to the mixture. Add gula Melaka to the agar-agar mixture and cook until the sugar dissolves. 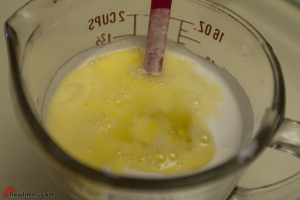 Mix egg with coconut milk and salt. Add coconut milk mixture into the agar-agar mixture. Pour into a mould to set before serving. You can keep it in the refrigerator to help it set faster. Is agar agar a suitable vegetarian substitute for gelatin? Hi hungry in tsawwassen, yes, agar-agar can be used as a vegetarian substitute for gelatin. Interesting! I’ve had this at a dim sum place but didn’t know what it was. What I had wasn’t at all green, which I expect with pandan — but yours is not green either. I will have to try it. I’ve never used agar before.